Boeing has agreed to terms with Embraer to acquire 80 per cent of the Brazilian aerospace company’s commercial aircraft operations. 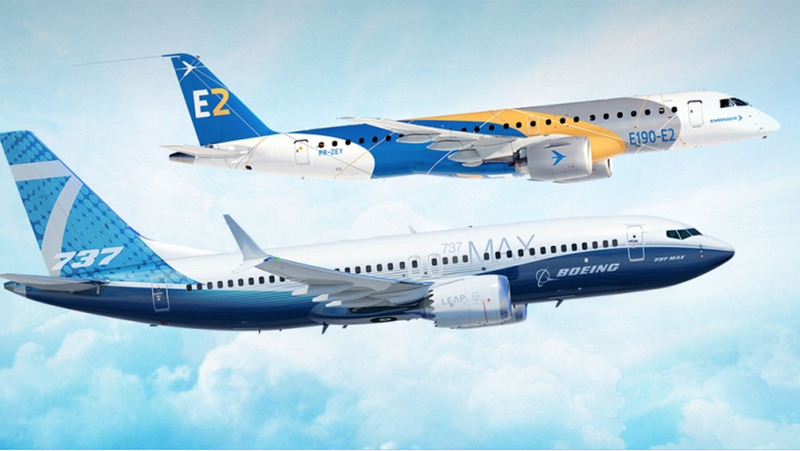 Under the agreement, which will require Brazilian government approval, Boeing will acquire the 80 per cent stake for US$4.2 billion, effectively adding Embraer’s E-Jet commercial jet airliner family to its own commercial airliner line-up. “Once the transaction has closed, the commercial aviation joint venture will be led by Brazil-based management, including a president and chief executive officer,” the two companies said in a joint statement on Monday (US time). The two companies expect cost savings of US$150 million a year by the third year of operations. The acquisition should help Boeing to better compete with rival Airbus, which itself acquired a controlling stake in the Bombardier CSeries airliner, which is a direct competitor to Embraer’s E2 series and which Airbus has now renamed the A220. Embraer’s E-jet family includes the in-service E190-E2 (97-114 seats), as well as the E195-E2 (120-144 seats) and E175-E2 (80-90 seats) which are due to enter service in 2019 and 2021, respectively. There is also the current generation E170, E175, E190 and E195 E-jet variants. Boeing’s proposed acquisition of Embraer’s commercial aircraft business was first announced last July. Boeing and Embraer have also agreed to a separate joint-venture to promote Embraer’s KC-390 military airlifter, which has been developed as a Lockheed C-130 Hercules replacement. Embraer will own a 51 per cent share of the KC-390 joint venture, Boeing 49 per cent. Maybe 616? Start a new sequence for smaller aircraft like Airbus with the 220.